Turning a speculative, distressed property purchase into a successful long-term investment often requires a team approach. 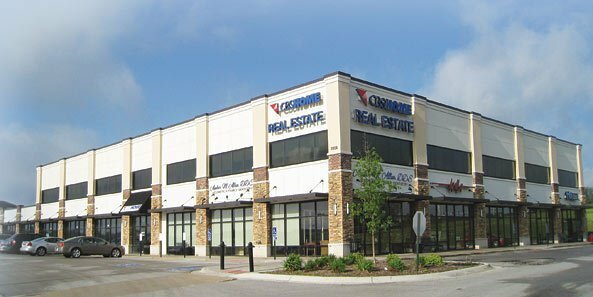 In 2011, an Investors Realty client purchased West Grayhawk, a 30,287-square-foot suburban mixed-use building in West Omaha from a bank, then turned it over to the Investors Realty Property Management and Leasing teams. Investors property manager Laura Hansen, NALP, CAM, worked with contractors to improve the curb appeal and consulted with tenants and neighboring property owners on ways to improve visibility to the property. Brian Farrell, the leasing agent, secured three new leases during the next two years. By 2013, with the building 90 percent occupied, the client told Brian it was time to sell. Brian put it on the market during the fall of 2013 and by early 2014, the property sold with a nice profit for the client. But that’s not the end of this case study. The client wanted an exchange property to defer paying the capital gains taxes on the profit from the sale. So Brian enlisted the help of investment property specialist Ember Grummons, CCIM. Ember located a 31,500-square-foot retail center in Independence, Missouri, that fit the client’s criteria. This property was fully leased by tenants with good credit and long leases. A 1031 exchange was completed in July 2014.